Published in Rafu Shimpo, August 8, 1955, Japanese section. 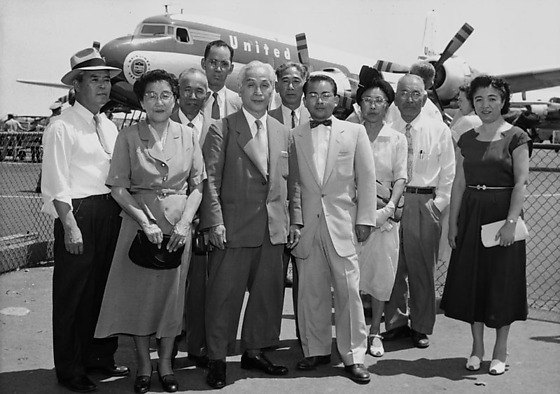 Older white-haired man, Kuniyoshi Ohara, arrives from Japan at an airport in California, August 6, 1955. He is greeted by a group of people in front of United Airlines tarmac. Typed on original envelope: Ohara Kuniyoshi from Japan.